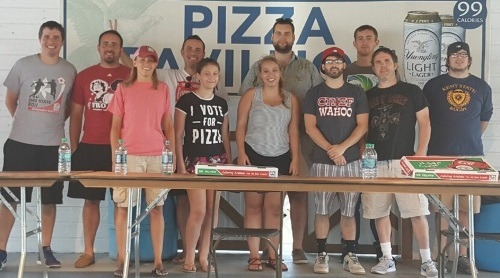 2018 Pizza Eating Contest. Register to be a part of the fun! In consideration of my acceptance of this entry, I hereby, for myself, heirs, executors and administrators, waive, release and discharge Great American Outdoor Events, and all sponsors of the PIZZA Fest Pizza Eating Contest including any agents, representative or employee of, from any and all of the claims, demands or causes of action I may have resulting from or arising out of my participation of this event. I agree to indemnify and hold all of the above mentioned harmless for any injury suffered or alleged to be suffered in connection with this event. I acknowledge the awareness and complete assumption of responsibility for the risks involved in participation of this event and I understand the terms of this release. I also attest that I am physically fit and have sufficiently trained to compete in this event. I give my full permission to Great American Outdoor Events, Inc. and their sponsors and corporate partners to use any photographs, videotapes, audiotapes or other recordings that are made during the course of this event. 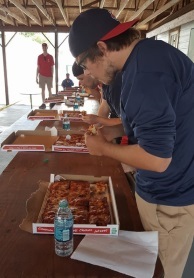 Advanced registration includes admission to the event and participation in the Pizza Eating contest. Proceeds will benefit – The North End Foundation. You will be competing for glory and a PIZZA PEEL trophy. 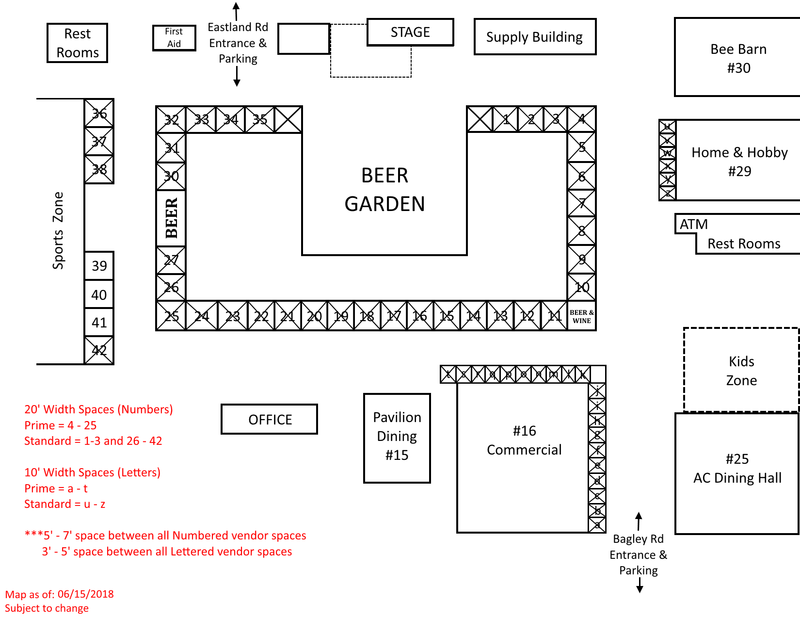 The contest will be held inside the Dining Pavilion (Building #15) . 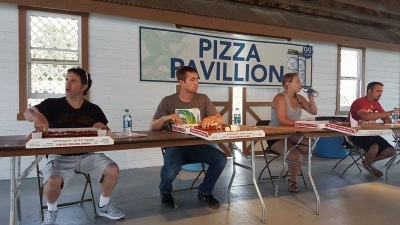 Participants will be in “heats” and will race to FINISH a small pie from the same pizza shop. FINISH is defined as "all food is swallowed". 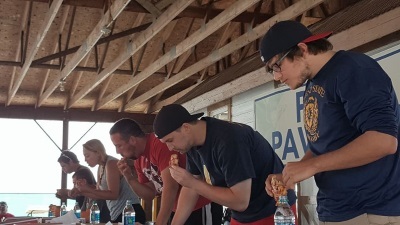 Judges from the Charity and/or Sponsor may oversee the event, along with GAOE personnel. 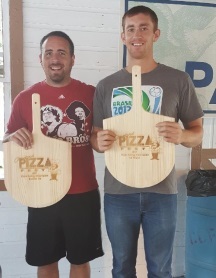 The fastest eater from each of the four time slots receives a PIZZA PEEL trophy.